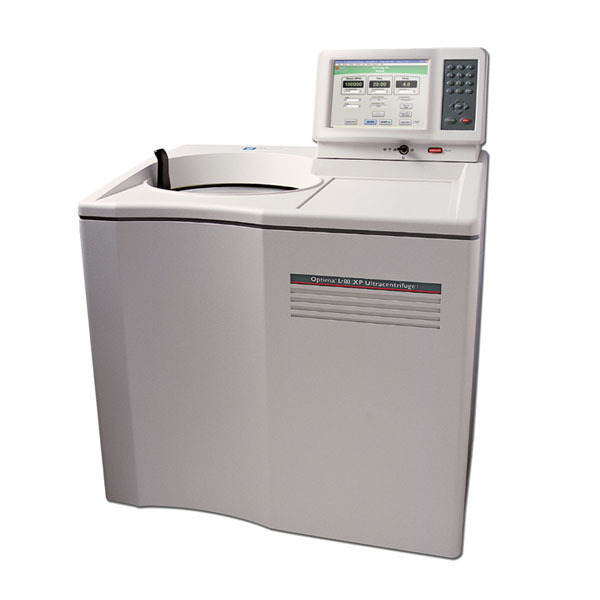 The Optima™ L-XP ultracentrifuge is used to generate centrifugal forces for the separation of particles. The Optima™ L-100XP has a maximum rotational speed of 100 000 rpm. The microprocessor-controlled Optima™ L-XP provides an interactive operator interface, using a touchscreen and keypad, with the eXPert operating software.